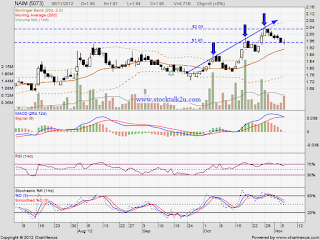 NAIM have been retrace down from RM2.03 high to RM1.95 support level. If rebound, immedite resistance would be RM2.03 level. 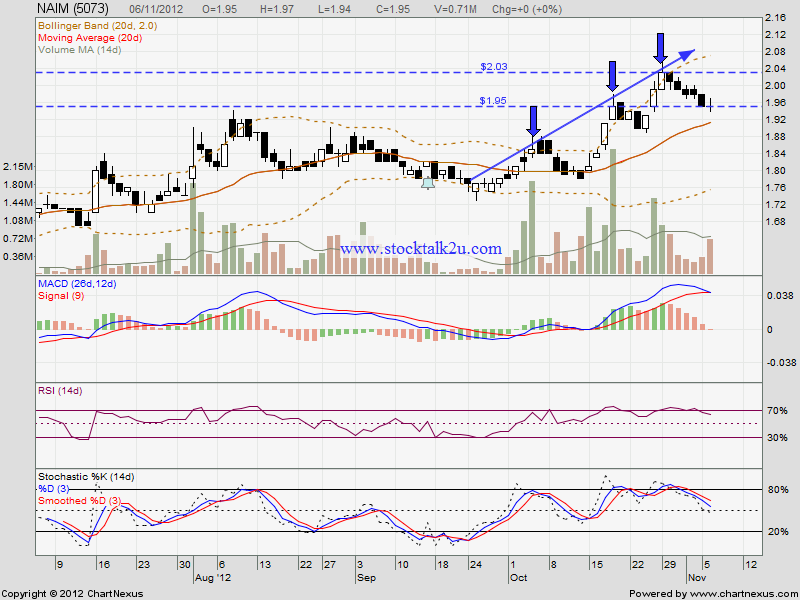 If break down RM1.95, subsequent support @ RM1.92 level.